Mark is also a Golf Union of Wales Accredited Coaching Centre Professional after being one of the pilot professionals to run the scheme. The mission is to develop a structure that continues to develop a flow of talented coaches and players throughout Wales; creating more golfers, tournament winners, winning Welsh sides, thus raising the profile and standard of golf across Wales. The catalyst behind achieving this mission is the Coaching Centres – a progressive five-year junior development programme. The Coaching Centres programme is aimed at giving junior golfers, of varying ages and abilities, the opportunity to learn to play golf at GUW accredited facilities under the expert tuition of a GUW accredited PGA Professional. The certification process ensures quality and consistency across all Centres in Wales. 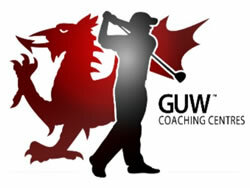 To find out more information about the Golf Union of Wales Coaching Centres you can visit their website by clicking here.